The finish on rush weaving can sometimes flake or peel with time. When this happens you are left with a chair that has beautiful rush weaving which looks worn. You can simply cover the weaving with fabric, but that will take away from the uniqueness of the chair. Instead, you can refinish the weaving. Most rush weaving is finished with shellac. You cannot strip the old shellac from the rush weaving without damaging the weave. However, you can apply a new layer of shellac over the old to create a brand new look for your rush weaved chair. 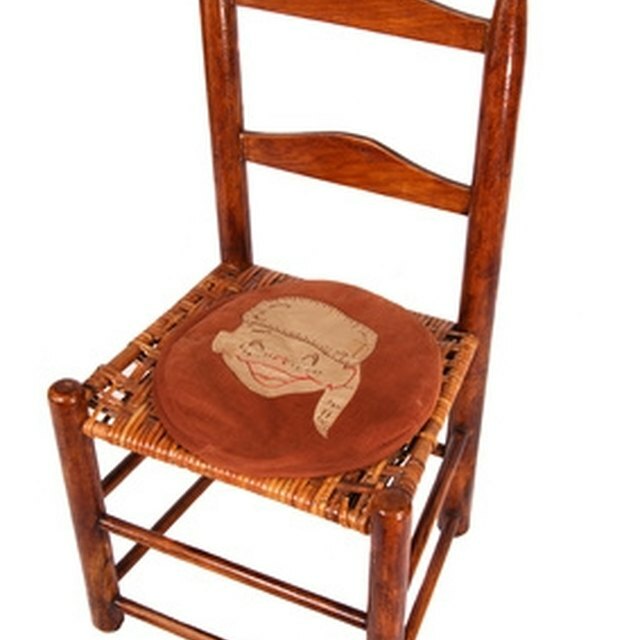 A rush-weave chair can be easily refinished with shellac. Clean the rush weaving with a damp cloth. Carefully remove dust and dirt from the weave without damaging it. Let it dry completely. Place the chair seat on a drop cloth in a well ventilated area. Tape off any areas of the chair that you do not want coated with shellac. Stir the shellac with a paint stick. The shellac should mix with the alcohol that is in the can. Pour the shellac into a small tray or can. Apply a layer of shellac to the rush weaving with a paintbrush. Cover the weaving and then let it dry per manufacturer directions. Repeat with a second coat of shellac. Let the shellac dry for several days before use.